The Monitoring and Management of firewalls, intrusion detection systems (IDSes) and Virtual Private Networks (VPNs) are some of the most common managed security services. These services can be simple or complex. A managed firewall service may begin and end with the purchase and installation of a perimeter firewall that protects the client’s systems and networks that have a connection to the Internet. A managed firewall service may also expand to include deployment on internal sub-networks with differing access policies, regular configuration and rule set updates, monitoring, intrusion detection, intrusion response, and replacing older firewall technology with new technology. Similarly, IDS services may be limited to the purchase and installation of an initial, single sensor capability to detect and report intrusions; or they may address full life-cycle management that incorporates analysis across multiple sensors. An IDS service can be deployed both on internal sub-networks and those connected to the Internet. A managed VPN service can be provided at varying levels to ensure secure remote access across a small or large user population with differing authentication requirements and authorization rights. A managed firewall/IDS/VPN service can include a narrow or wide range of features, service levels and capabilities. The client needs to determine the requirements for each feature, service level, and capability in order to meet business objectives and protect critical assets. The client and provider need to mutually determine roles and responsibilities including who makes service decisions and choices. In some cases, the client will make the decisions, but when it comes to choosing features of the service, the provider is often more knowledgeable and is therefore in the best position to make the right decision. A provider may own and install the firewall/IDS/VPN that is used to protect the client’s perimeter or internal sub-networks. The client avoids the cost of the security system (hardware and software) but may pay more for the recurring costs (such as 3M – Monitoring, Management and Maintenance). Service level features, such as adding new firewall rules, modifying a currently executing rule, and fine-tuning/customising IDS signatures along with any limits on how often each feature can be requested and the response times for a given feature. James Bogdan James has a history in Computers and Electrical Engineering. He has significant experience in Windows Server 2003 and 2013, as well as Exchange Server 2010. He's worked in the IT Industry as a Mid-level Tech Consultant helping businesses streamline their IT Systems and Maximize their Budgets to stretch as far as possible. 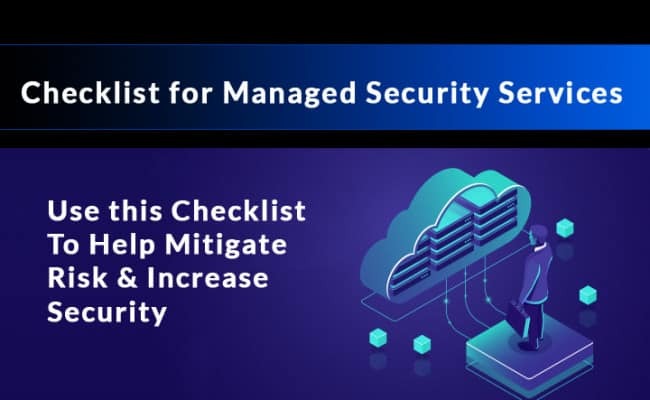 Personally, I believe that a managed security system program that can be used for my business can be simple or complex depending on what the provider will give us. Thanks for clarifying that a managed firewall service that we may receive may expand depending to include other features that we may use. We may end up using a VPN service from them that includes a wide range of features in order to protect our files so I’ll make sure to consider these factors in order to get the best service that a provider can give us.